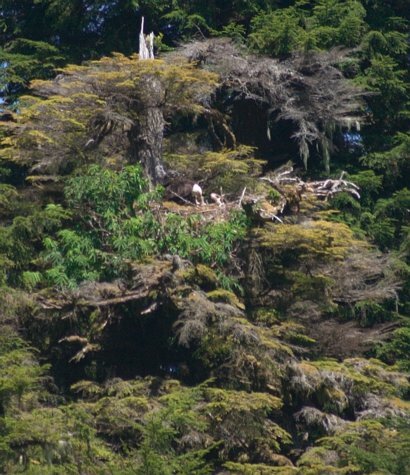 There appeared to be an eagle nest in the tree where the eagle is. At first I thought it might be active, but the eagles did not seem too involved with it. I suppose it is possible that there were eggs that did not need any sitting on because of the warmth.